CAN'T FIND WHAT YOU'RE LOOKING FOR? We have 1000's more products available, please contact us with your requirements! 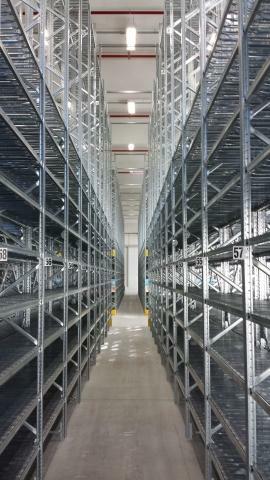 Unishelf is specifically designed for the storage of light to medium weight goods. Extremely adaptable, this modular shelving system is designed for flexibility and is easily configured to meet a number of storage applications and solutions. The Unishelf additionally provides the platform for suspended walkway installations of up to 8 meters. Elevate stock standard shelving and extension bays in a range of sizes below. If you have a larger project and are considering this type of system, click here to view the full product catalogue or contact us for further informaiton.